The Men's Health Initiative of B.C. wanted to increase awareness on healthy behavior in men from 18-35 years. 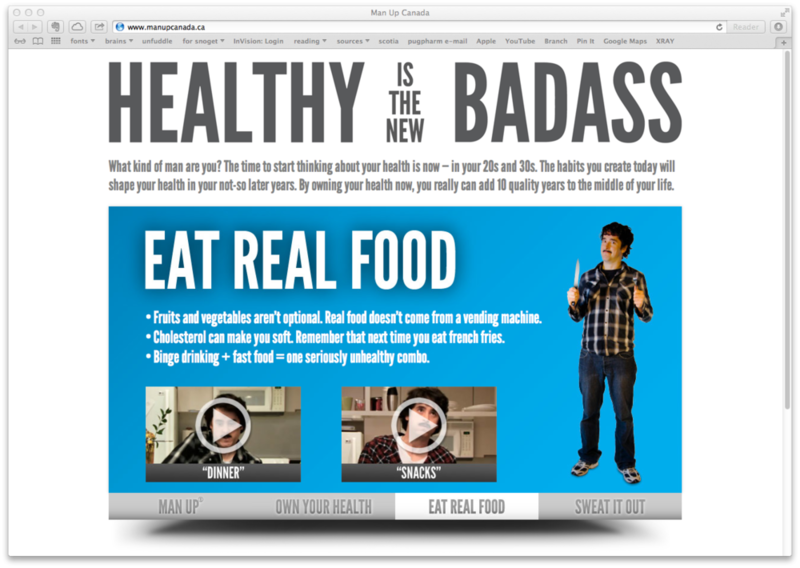 "Healthy is the new badass" tried to equate masculinity with a healthy behavior. We produced six game-influenced videos that used humour to encourage men to reflect on their lifestyle decisions. Our challenge was to create a campaign that contained valuable information but still was engaging and short to be shared across social media. 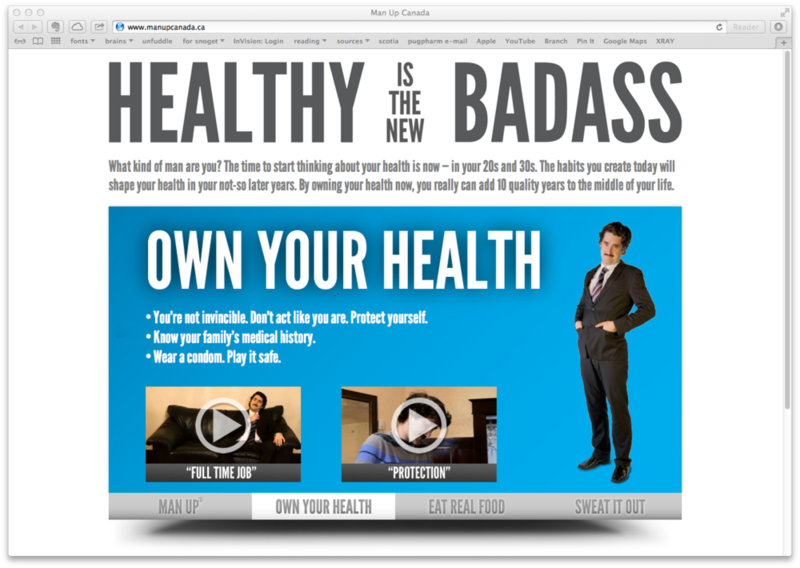 Along with the videos, we produced a website to host the content and to drive traffic to the Men's Health Initiative website. During this MDM project I had to coordinate my team's tasks and set milestones for the production of these videos and the website. As a designer in the team I also created some of the art assets that you see in the website, including the logo.